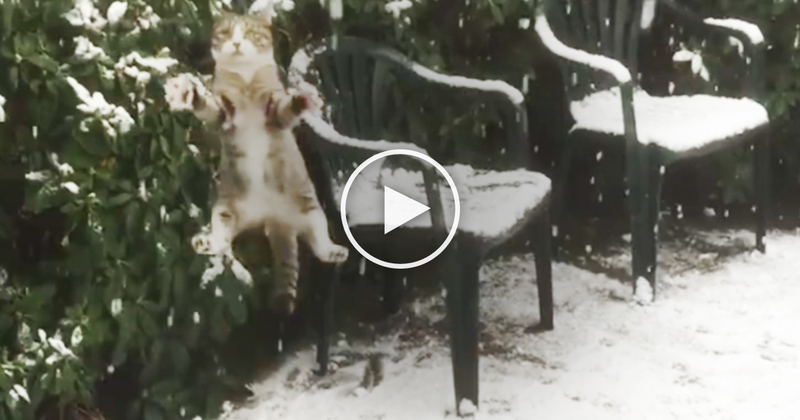 Cat Discovers Snow For The First Time, But You’ve Gotta See His Reaction… LOL, Just Watch! This little kitty hasn’t ever seen snow before, so one day, when it started to snow hard, they took the cat outside to enjoy it! 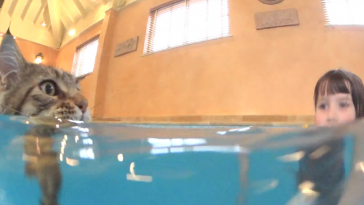 The tabby cat looks up in absolutely wonder, as if to say, What is all this white stuff? Being a cat, of course the next logical thing was to try and catch the white fluffy snow! 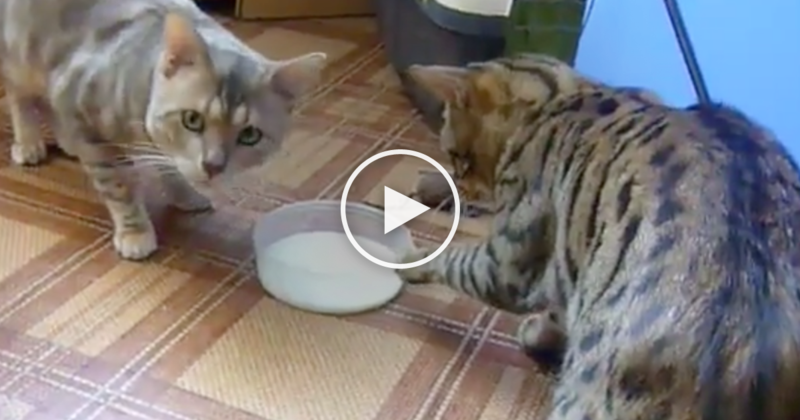 Previous article Watch These Cat’s Reactions When They “Try” To Share A Bowl… This Is Hilarious, Hahaha! 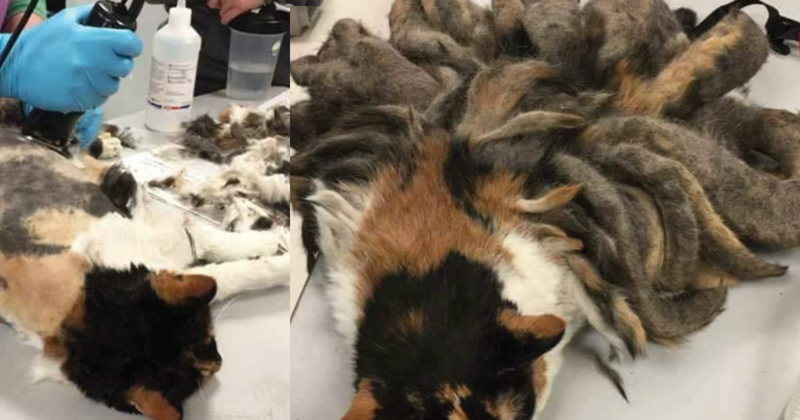 Next article Cat Brought To Shelter After Owner Dies, But One Look At The Cat’s Hair, I’ve NEVER Seen Anything?! 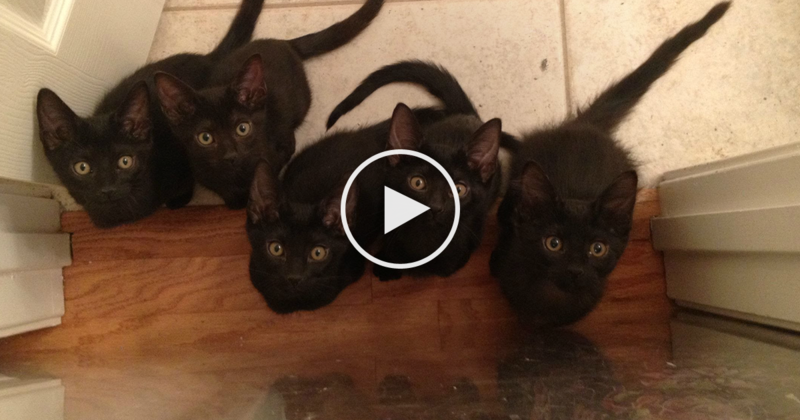 Watch These Cat’s Reactions When They “Try” To Share A Bowl… This Is Hilarious, Hahaha! 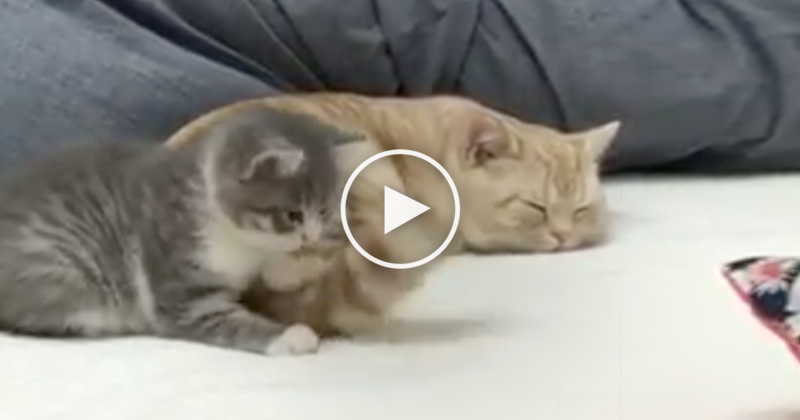 Older Cat Is Trying To Sleep, But Tiny Kitten Won’t Stop Biting His Tail…This Is SOO Cute And Funny! 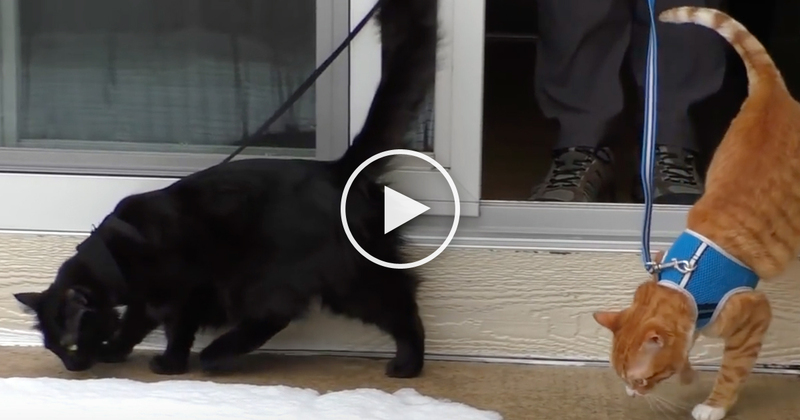 Cole And Marmalade Discover Snow For The First Time, Just WATCH Their Reactions! 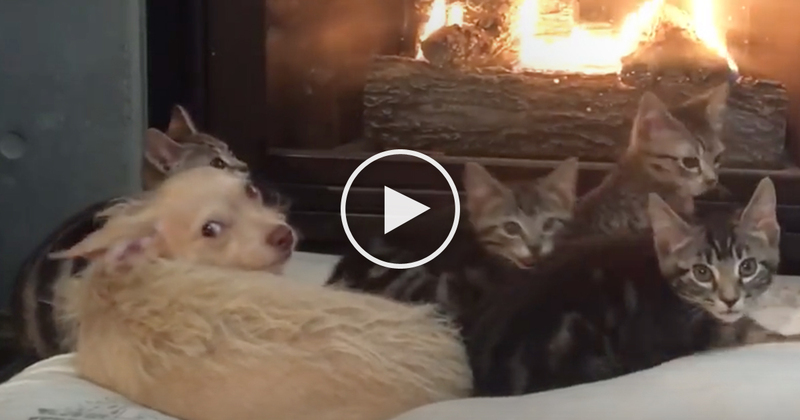 Kittens And Dogs Are Cozy By The Fire, But Then She Says One Word… Just Watch Until The End! 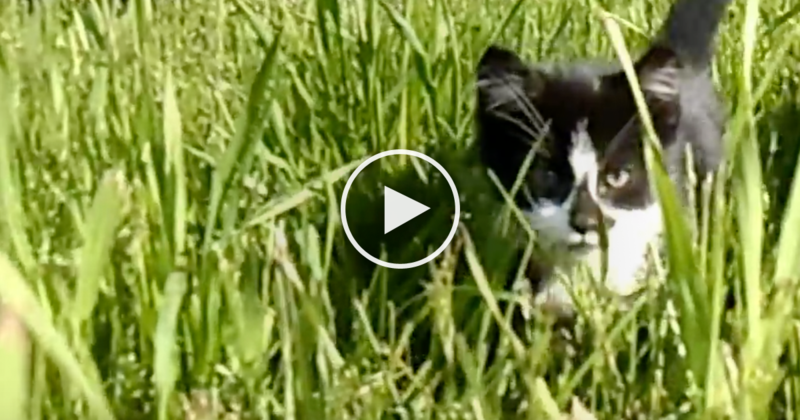 Kind Women Catches Tiny Black Stray Kitten, Rescues Him… Just Watch, OMG! 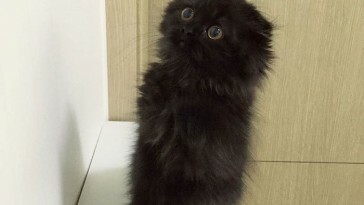 Cat Discovered Starving Behind Walmart Garden Center, But What They Found Next? OMG! Cat Brought To Shelter After Owner Dies, But One Look At The Cat’s Hair, I’ve NEVER Seen Anything? !